July 6-7: UFC Challenge for Speed, Strength & Endurance at the UFC Fan Expo. 28 spots remaining. Blake S. is registered and in. Cash prizes, televised, etc. Click this link for registration information. July 8th: Tough Mudder. 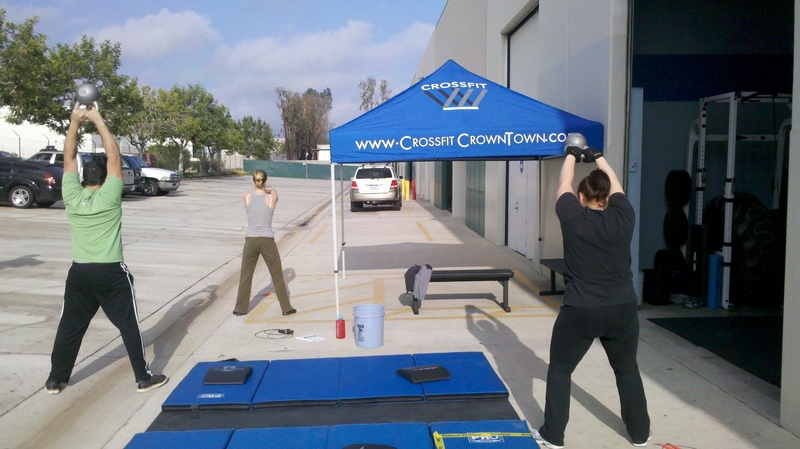 I created a team, “CrossFit CrownTown”. Thus far we have, Nate C., Nick D., Melissa J., Calvin B. And I. We’re registered to start at 10:20am on Sunday. Click here to watch a video of a Tough Mudder. Email me at ww@crossfitcrowntown.com if you are interested in joining our team and I will email you an invite. WOD B: Prowler push from front of gym to back using high bars, then, back to front of gym using low bars as fast as possible. Repeat for three attempts. Rest as needed between efforts.